Munster Med-Inn’s trademark for rehabilitation services is the quality, loyalty and dedication of our staff who have a commitment to excellence. Our innovative rehabilitative programs emphasize comprehensive therapy for optimal recovery. 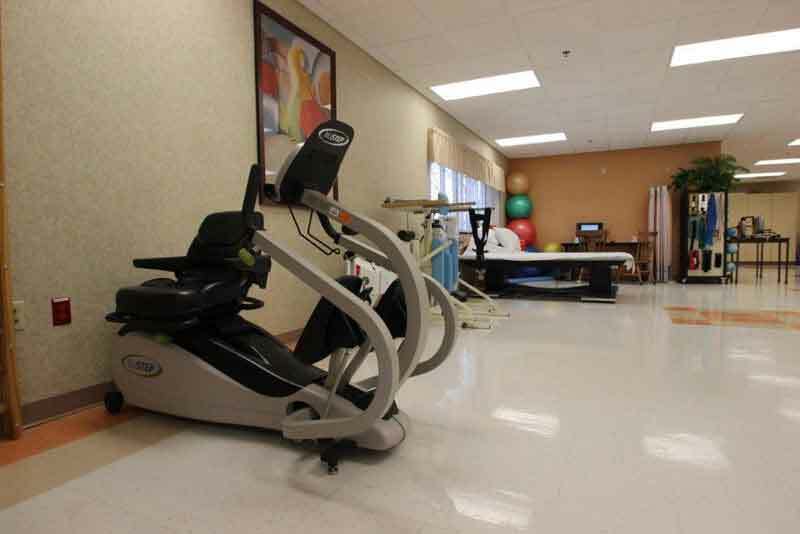 Residents at Munster Med-Inn receive care in a bright and well-equipped state-of-the-art therapy gym. Our goal is to assist each resident in achieving their highest potential. 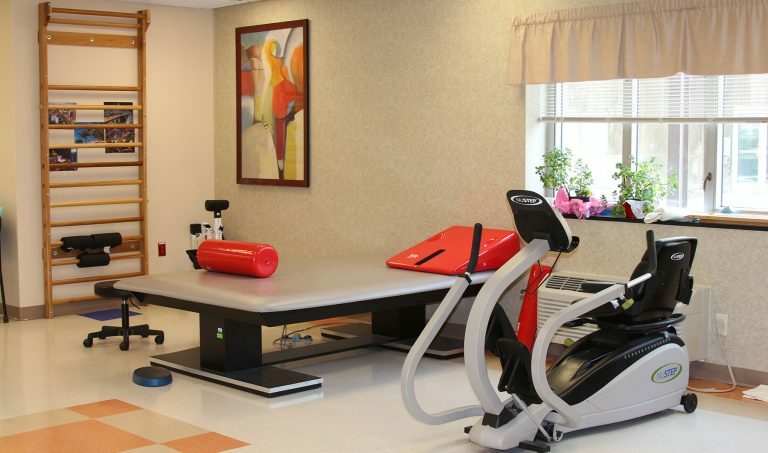 Our comprehensive, post-acute rehabilitation program, helps individuals return home following illness or injury. Here, you’ll receive one-on-one therapy designed to help improve function, restore mobility, regain balance, strengthen muscles and recover both quickly and thoroughly. Offering 24-hour skilled nursing and comprehensive long-term care services that are personally tailored to meet your specific needs. As a devoted caregiver, you may find times when you need a temporary break. 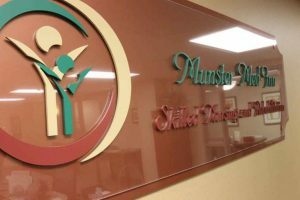 Whether you’re planning a weekend getaway or a much-needed vacation — Respite Care at Munster Med-Inn Nursing & Rehabilitation Center can give you the relief you need. 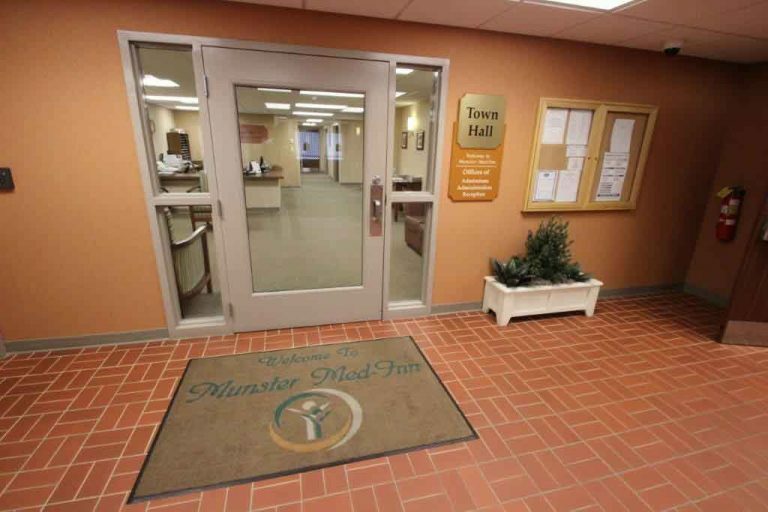 Even if you’re staying with us for your own rehabilitation, you can trust Munster Med-Inn to provide your loved one with personalized attention and comfort — while you take care of yourself. The Traditions neighborhood at Munster Med-Inn provides a secure, homelike memory care environment, designed to increase dignity and independence in a safe and comfortable setting, while placing an emphasis on cognitive and psychosocial well-being. Our staff is specially trained to meet the resident’s individual needs, while our dedicated Program Director provides structured activities throughout the day that encourage socialization. 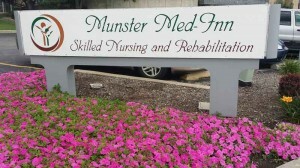 Munster Med-Inn Nursing & Rehabilitation Center creates an individualized and dignified care plan. Our specially trained team of compassionate, clinical professionals work together to manage pain and symptoms in a comforting environment. Thank you for considering Munster Med-Inn facilities. We are confident you will make the right decision for your family and yourself. Please do not hesitate to call or stop by to tour our facility. 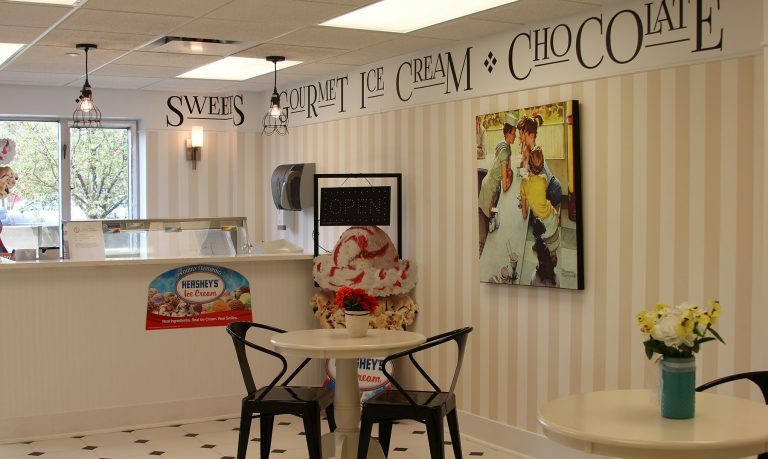 When you choose Munster Med-Inn, you choose commitment to quality service.